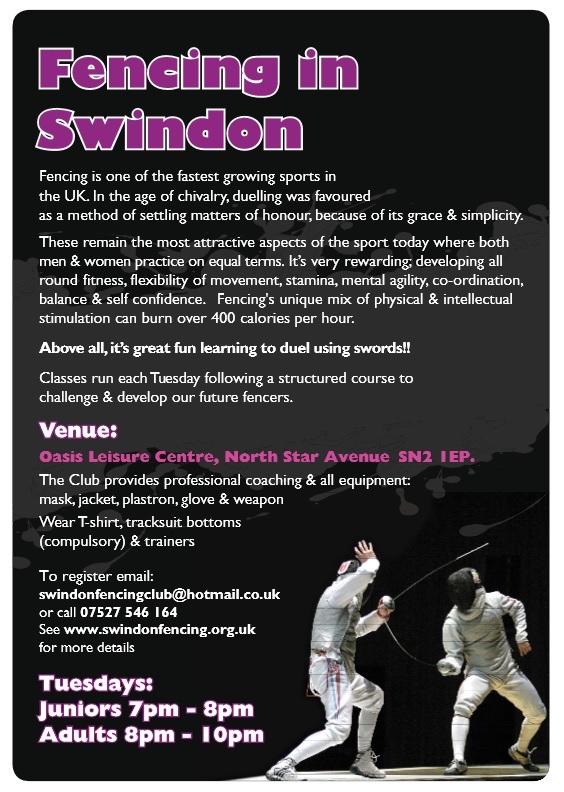 See the “About The Club” page for details on Location and Times. Act now to book your place! 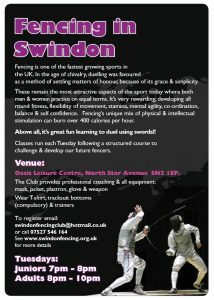 We are also on Facebook – Search for Swindon Fencing Club and ask to join!